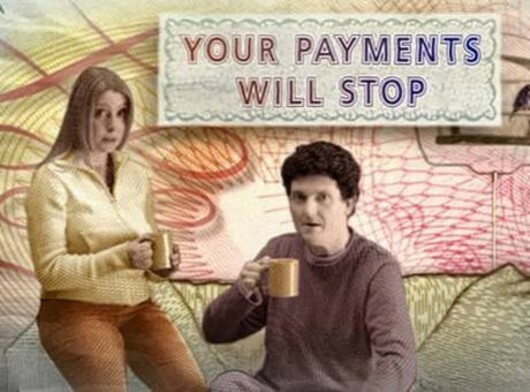 Nothing more to say: This Tax Credits advert was intended to warn people to keep up-to-date with information they send HMRC about their claim; now it seems the message is much simpler – they want to stop paying you anyway. A guest blog by ‘Mimismum’. What follows was posted to Vox Political as a response to Tax Credits and Debt Collection Agencies: Peachy’s Comment. It details the facts of the situation for just one struggling family and as such was worth a larger audience than it would have received as a comment on another article. This government scares the s**t out me. I don’t know how much more stress I can take now. It has gone beyond anything like “austerity” or “in it together” rhetoric and is now a witch hunt against the poor or low earners, sick and disabled – even going as far as blaming us for our own predicament. We have seen our family income go from £800 from my other half’s wage back in 2009 to just under £350 now, due to successive redundacies. He works and has never had any unemployment in the past 12 years, and yet each time he calls tax credits to say there is a change in our income they lower the award (ha! thats a rich term for it now, its garbage to call it an award) based on his predicted income, even though its gone down and down. Today they shoved some money in the bank. He rang to ask what the hell it was for; they can’t tell him because “We haven’t had the renewal paperwork in.” For goodness’ sake, we just wanted to know what this extra money is, it’s not rocket science! The guy refused to tell us! My other half had to use it to pay bills because his wages were short due to the zero hour contract job changing how they pay wages now – because of that stupid pension scheme c**p the government forced on everyone. Even though he already has one from his previous job, this company took money for their pension and said they wouldnt pay into his! Oh, and because his old employer forgot to send his P45, he had to pay emergency tax as well! We can’t do this any more. The stress of him working two jobs, my disability, and having children is driving a wedge between us. One of our children has autism, and I am struggling to maintain a routine that they desperately need – and I can’t. The other half is now on National Minimum Wage for both crappy jobs; both want exclusivity out of him and now keep rostering him on during the other job’s time. Both knew he had a second job when they took him on, and now we find out that tax credits can send debt collectors and bailiffs around for money they say anyone owes, just like that. I wish to god Tony Blair had not invented tax credits, because it gives employers a get-out clause for paying decent wages. I can’t get hospital transport fees out of the NHS for trips I have had to make and even though they were claimed within the time allowed – no payment has been forthcoming because “it’s too late now” for them to pay out. I have another appointment in two weeks’ time which I have to cancel as I cant get there, because my other half can’t take time off work from either job – and my physio is about to strike me off for the same reason. I am sick of this mess; we dont deserve this, and if we find out Tax Credits have overpaid us as well I don’t know what we would do. We have an income of less than average and we pay our own rent; we don’t claim Housing Benefit because the council stuffs it up and we get into arrears so we manage on our own. We claim less of what we are entitled to because I am scared they will want it back, and now they are playing this game with tax credits. I don’t want to be punished any more for being disabled, a parent or married. I have had enough of being poor and scared. All I want is for my other half to have a decent job with a decent wage, and there is nothing out there now. No jobs, nothing, and it’s getting worse. Does anybody remember when the police were the Conservatives’ best friends? 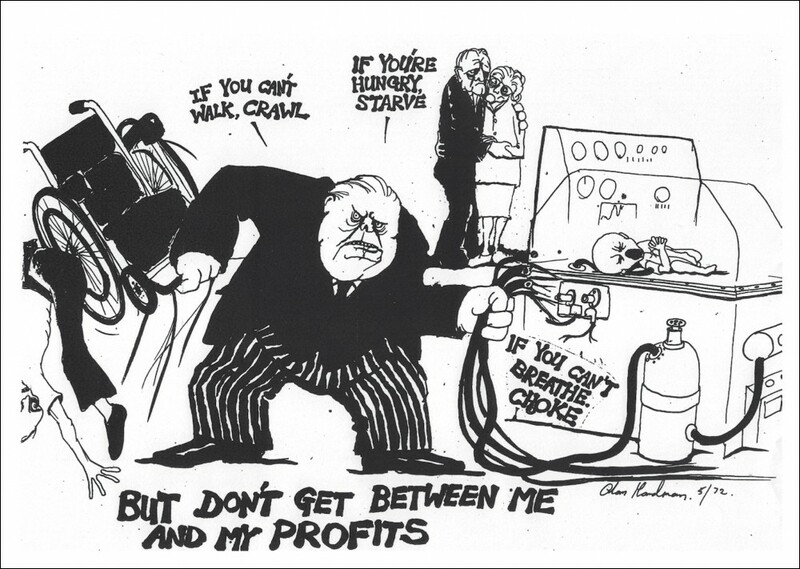 This was back in the days of the Thatcher government, when she needed them as political weapons against the unions. She gave them generous pay and pension deals, let them move out of the communities they policed (providing a certain amount of anonymity – people no longer knew their local Bobby personally), and put them in patrol cars rather than on the beat. In return, she was able to rely on their loyalty. The same cannot be said today. 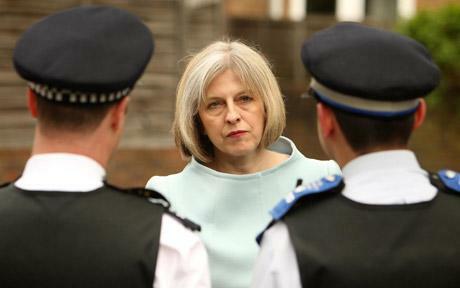 Current Home Secretary Theresa May wants you to think the police service is out of control. In fact, it isn’t. The problem for Ms May, whose position on human rights makes it clear that she wants to be able to use the force as a tool of repression, is that our constables have found better ways of upholding the law. This is why May’s tough talk on reforming the police rings hollow. She wants to break the power of the Police Federation, our constabularies’ trade union – but her attack is on terms which it is already working to reform. She has demanded that the Federation must act on the 36 recommendations of the Normington Report on Police Federation Reform in what appears to be a bid to make it seem controversial. But the report was commissioned by the Federation itself, not by the Home Office. It acknowledges problems with the organisation that may affect the wider role of the police and makes 36 recommendations for reform – whether the Home Secretary demands it or not. One is left with the feeling that Ms May is desperate to make an impression. She has been very keen to point out that crime has fallen since she became Home Secretary – but this is part of a trend since Labour took office in the mid-1990s. Labour brought in neighbourhood policing, police community support officers, antisocial behaviour laws, improved technology and (more controversially) the DNA database. These resulted from Labour politicians working together with the police, not imposing ideas on them from above; they brought the police back into the community. Theresa May’s work includes her time-wasting vanity project to elect ‘police and crime commissioners’, and her time-wasting project to replace the Serious Organised Crime Agency with the almost-identical National Crime Agency. She has taken a leaf from the Liberal Democrat book by claiming credit for changes that had nothing to do with her, suggesting that police reform only began when she became Home Secretary in 2010. Is it this attitude to history that informs Michael Gove’s attempts to revise our attitude towards the First World War, as was reported widely a few months ago? If so, it is an approach that is doomed to failure and derision, as Mr Gove learned to his cost. Ms May deserves no better. There is much that is wrong with the police service – and most of that is due to interference from Conservative governments. Thankfully, with the service and the Police Federation already working to resolve these issues, all Ms May can do is grumble from the sidelines where she belongs. This was not the actual ambulance involved in the case mentioned below. It is intended to be a representative picture of an ambulance. We mention this to head off anyone who wants to point out that it’s the wrong colour. Readers of this blog will know that Vox Political is a staunch supporter of the National Health Service here in Wales which, under Welsh Labour, remains a nationalised system and still works better than the part-privatised Tory/Coalition patchwork on offer in England. The site has good evidence of the choice available when dealing with surgery by appointment – but with criticisms focusing on emergency treatment, I have been frustrated by my inability to comment on this aspect of the service from first-hand experience. Now I have first-hand experience. Around 5pm today, a lady visiting Casa Vox had a fainting fit, directly in front of yr obdt srvt. Her speech slowed down, her arms and legs started to shake, and she folded up – concertina-like – and dropped to the floor (banging her head on a low cabinet – this was in the kitchen – because I wasn’t fast enough to catch her). Attempts to revive her seemed to succeed partially, but then she passed out completely. So Mrs Mike dialled 999 and asked for an ambulance. Everything you have heard about NHS Wales, from Conservatives and Liberal Democrats, is wrong. Even where they have singled out known problems, they are wrong because their solutions are wrong. 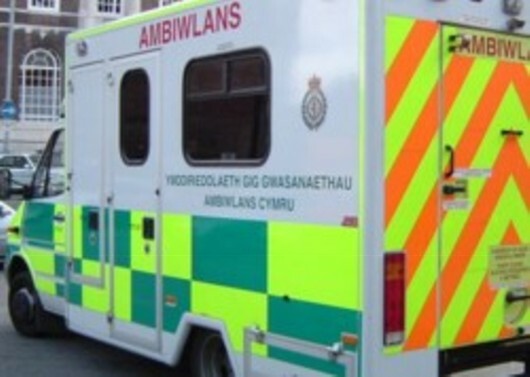 They haven’t experienced NHS Wales’ emergency teams in action; they are wrong. The ambulance arrived within four minutes of the call. Two paramedics installed themselves in the kitchen and interrogated Mrs Mike and Yrs Truly, while carrying out thorough tests on the unconscious lady. When they decided they were happy to move her, they brought in a wheelchair and transferred her to their ambulance. Mrs Mike dealt with them after that but they were able to revive the poorly lady and she was able to stroll back in (with the aid of sticks) around 90 minutes after her attack. This was not a case that required hospitalisation, although the paramedics had discussed it with us; they were considering three hospitals at one point and would have made the journey if necessary. In the end, it was not. Instead, the paramedics were able to do everything that needed to be done at the scene, cutting out any extra strain on ambulance time and obviating pressure on A&E departments. Yes, this was a minor case. But it proved that this blog’s faith in NHS Wales is well-founded. Yes, it is an extremely subjective viewpoint. 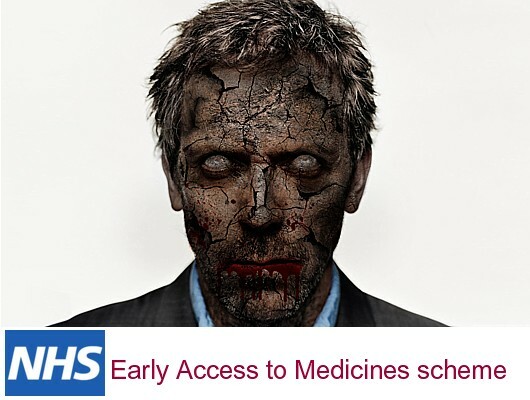 Seal of approval: We asked TV doctor House MD whether he foresaw any problems with the Early Access to Medicines scheme. “Nuh-uhrr,” he replied. Concern has been raised over a plan announced by Health Secretary (and misprint) Jeremy Hunt to give new medicines to people who are severely ill, years before they are licensed. In comparison, little has been said about findings by the Office for National Statistics (ONS) showing that people in deprived areas live shorter lives and spend more of those lives in poor health. If poorer people spend more time in ill health, then they are more likely to be given experimental drugs before those treatments are clinically proven. In other words, the Conservative-led government is using the poor as guinea pigs for drug trials. How does he know these medicines are safe? How does he know that people want them? How does he know that they’ll do what they say? He doesn’t. This shows what he wants – to make the UK a profitable place for pharmaceutical companies by giving them a market for drugs that could be completely useless – or could have unforeseen effects. It’s more marketisation for our once-great NHS. Long-term readers will be aware that Mrs Mike has been receiving treatment from the NHS in England, including injections to alleviate the severe back pain from which she suffers. I asked her if this announcement was worrying for her – as a poor person who has spent much of her life in ill-health. “Nuh-uhrr,” she said. That seemed conclusive, so I threw her lunchtime slab of raw meat into the cage and locked the door before she could reach me. This is critically important for the general election next year, because timing is everything. This is important because the Investor State Dispute Settlement (ISDS) part of the agreement would allow any foreign company operating in the UK to make a claim against the government for loss of future profits resulting from any regulatory action by the government, such as new legislation. 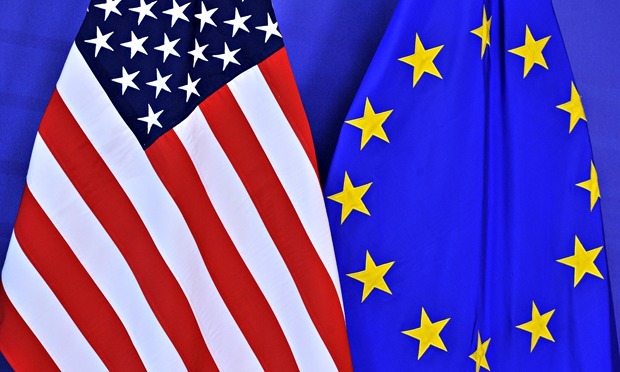 Such claims would be considered by an unelected, unaccountable tribunal composed of three corporate lawyers whose decisions are likely to favour the corporations and would override national laws – and it is widely agreed that the TTIP will be used by our Conservative-led government as a means of permanently locking-in its detrimental changes to the National Health Service. 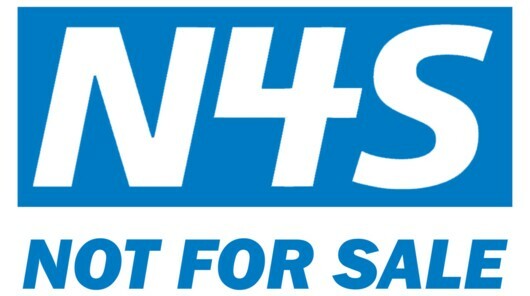 Labour’s MEPs have already confirmed that they have no intention of supporting this part of the trade agreement; now we have confirmation that only a Labour government in the UK would protect the NHS from the irreparable harm being planned by the Conservative Party. It is ironic that, if you go to the BBC News website and find their ‘politics’ page, you will see an article entitled Labour makes no sense on Europe, says David Cameron. In fact, Labour is talking far more sense – in terms of protecting the people of this country – than the Conservatives. Leaving the EU won’t stop us having to conform with European standards, if we want to trade with those countries; and any decision to stop immigration will be met, undoubtedly, with the expulsion of our own 2.5 million expats from the EU countries where they have settled. We will be more crowded, not less. If the British people want to vote on a way to stop European laws from harming us, then we need look no further than the 2015 general election. You know the sensible option. Patsy n A person regarded as open to victimisation or manipulation; a person upon whom the blame for something falls. It seems a familiar story: The Tories plan legislation that is clearly no good at all – in this case, a legal clause to allow the closure of successful hospitals to prop up failing NHS trusts (Clause 119 of the Care Bill). The Liberal Democrats object and threaten to rebel. The Tories then offer concessions to make it seem less likely that this will happen and the Lib Dems withdraw their objections. All seems well until the new rules are put to the test. Coalition MPs voiced disquiet at the powers being granted to allow a trust special administrator (TSA) to force through changes at a neighbouring hospital if they consider it necessary to save one that is failing. This power is considered likely to be used to save hospitals run under the Private Finance Initiative (PFI), which are therefore saddled with huge unnecessary interest bills on the money invested by private companies. We are told there will be some form of public consultation. Great. Here in Mid Wales, Powys County Council consulted constituents on its plans to cut £20 million from its budget for 2014-15. After the answers came back, the council’s cabinet ignored every single word of the responses and pressed on with its plan. Changes were only brought in after the rest of the council made it clear that they weren’t putting up with those shenanigans. The minute a hospital is closed to prop up the PFI place next door, the Tories will blame Patsy – sorry, Paul – Burstow. They’ll say he had a chance to do something about it but didn’t. What makes it worse for him is that Labour weren’t going to put up with his shenanigans and forced a vote on his amendment – which would have completely neutered the offending clause. Burstow voted against it – that’s right, against his own amendment, helping the government to a narrow 47-vote victory. One politician who does seem to have the good of our hospitals at heart is Shadow Health Secretary Andy Burnham. What did he have to say about all this, during the debate yesterday (March 11)? “What we have seen … from the right hon. 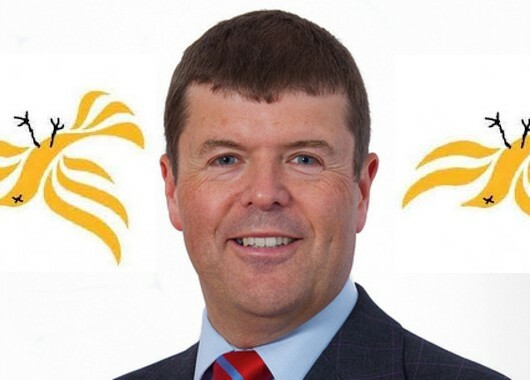 Member for Sutton and Cheam (Paul Burstow), who positioned himself as though he was going to make a stand for local involvement in the NHS, is the worst kind of collusion and sell-out of our national health service.